Continuing our promises of exciting new things planned for the blog this year we are extremely pleased and excited to welcome on board two very talented people; Alex Widdowson and Charlotte Kaye. They will both be our resident interns for the spring and will be contributing to the blog on a regular basis, so watch this space! Both Alex and Charlotte are makers of animated films, Charlotte is an animator and sculptor, more about her work to come in the next few weeks and Alex is an artist animator. 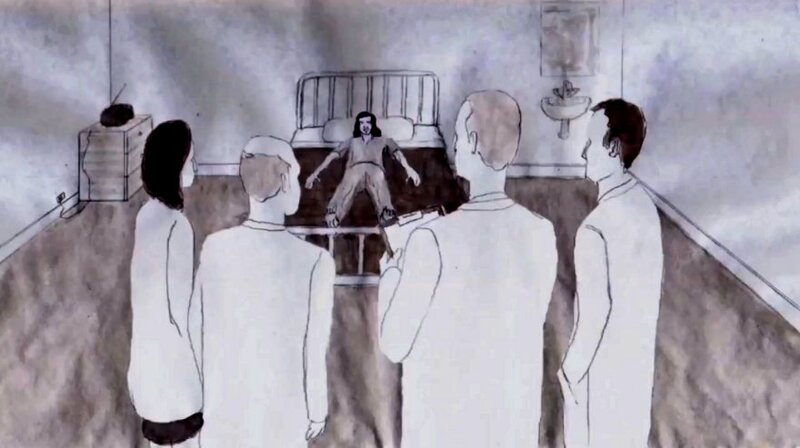 Here we feature Alex’s most recent film ‘Patients’ a semi-autobiographic animated documentary about psychosis. It is a valuable and insightful piece of work which addresses the stigmas attached to mental health – in both a medical and a wider society context through personal experience. Due to be released in 2013, the film features 17 different animation styles, which perhaps we get a glimpse of here in this trailer. An article, published yesterday on the BFI site, on the series of films for autism charity Spectrum which we blogged back in August.